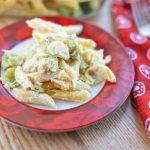 Creamy Chicken Broccoli Casserole – For an easy weeknight meal the whole family will love, check this creamy, dreamy casserole out. A family favorite for sure. Enjoy! 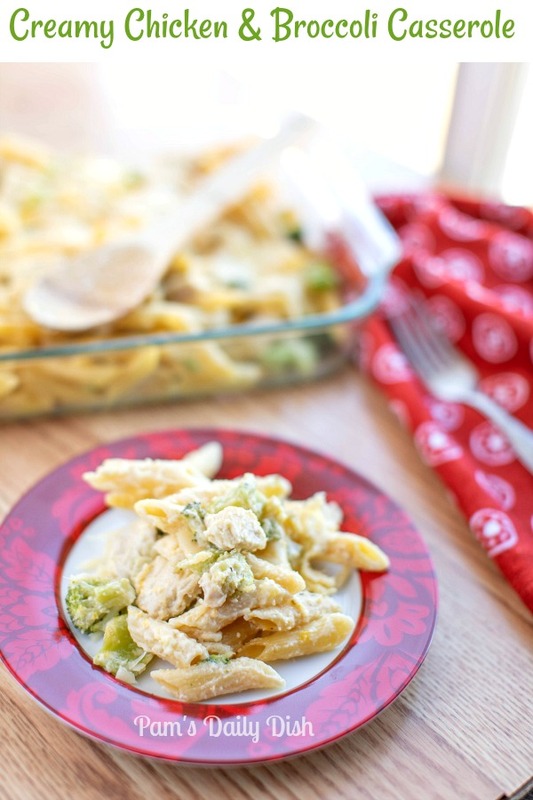 This easy-peasy casserole is one I make for family and friends since they request it often. They adore this dish. It’s also a great dish for company and potluck dinners. 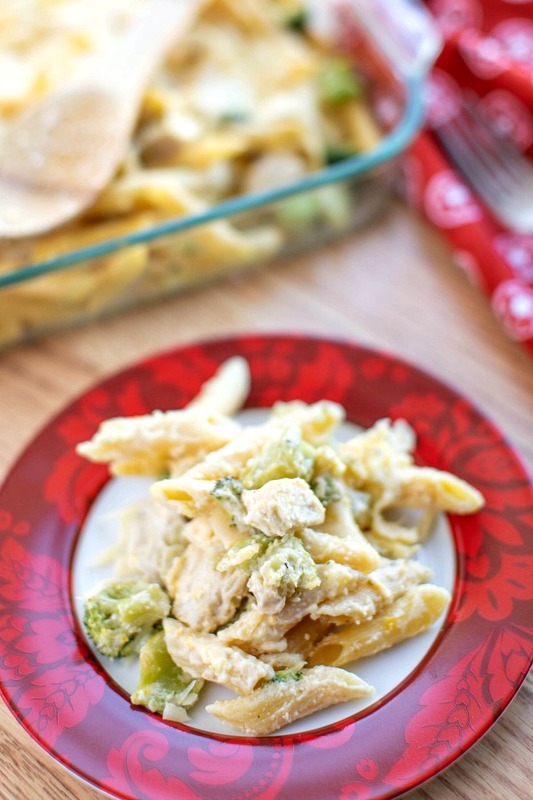 White meat chicken with fresh broccoli in a creamy sauce that’s very similar to Alfredo Sauce. This dish however has is a bit lighter and when you bake as a casserole the top gets a little crispy and just perfect. 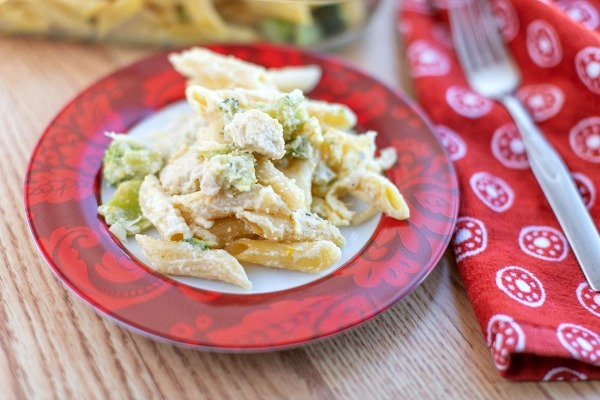 Serve with a green salad and some garlic bread for a wonderful weeknight or anytime meal. Here’s another choice for some yummy garlic bread made with crescent rolls. In a saucepan over medium heat, melt butter and whisk in heavy cream. Whisk in egg yolks and 1 cup cheese. Simmer for 5 minutes, then remove from heat and set aside. In a large pot, prepare pasta al dente as directed on the package. Drain and put back in pot. Pour ½ of sauce over pasta and toss to coat. 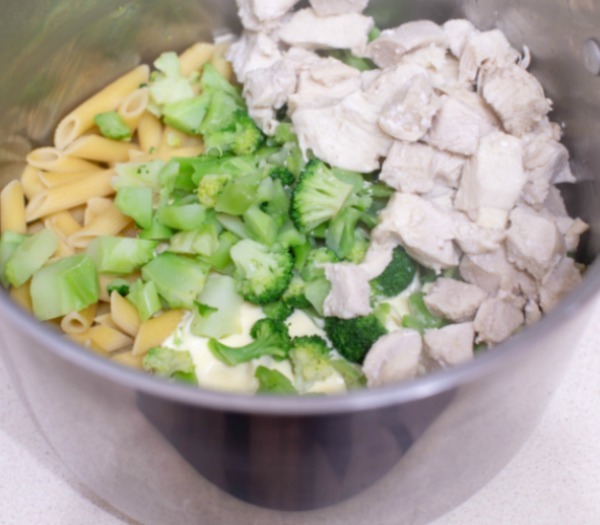 Gently mix in chicken and broccoli. 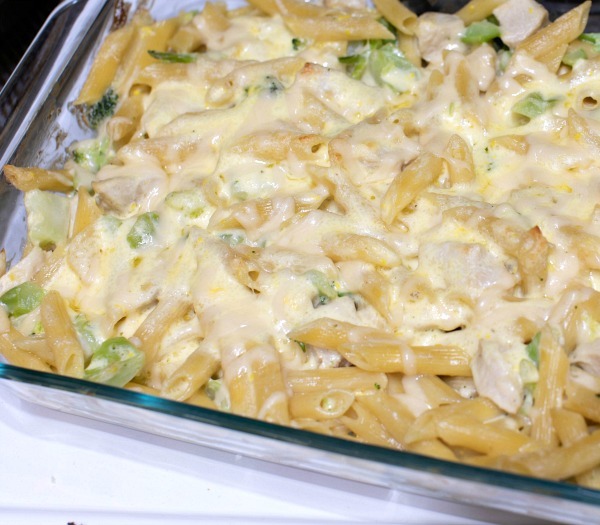 Pour into a 9 x 13 baking dish, top with remaining Parmesan. Bake for 30 minutes. Serve up! 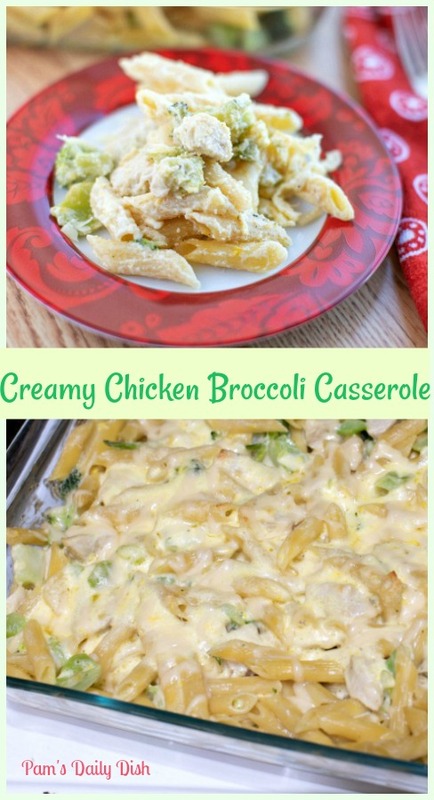 For an easy weeknight meal the whole family will love, check this creamy, dreamy casserole out. A family favorite for sure. Enjoy! 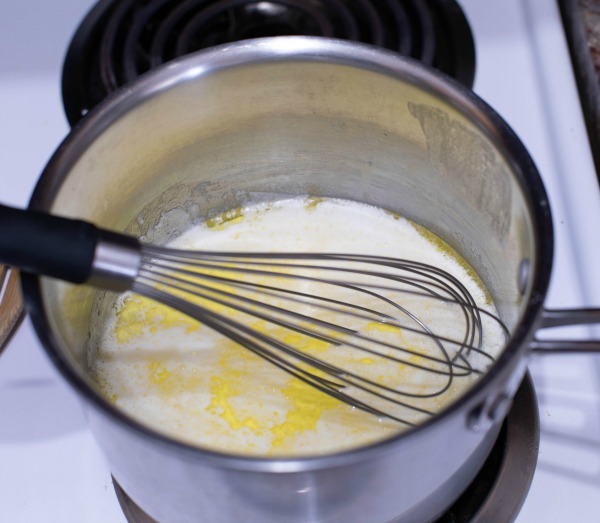 1.In a saucepan over medium heat, melt butter and whisk in heavy cream. 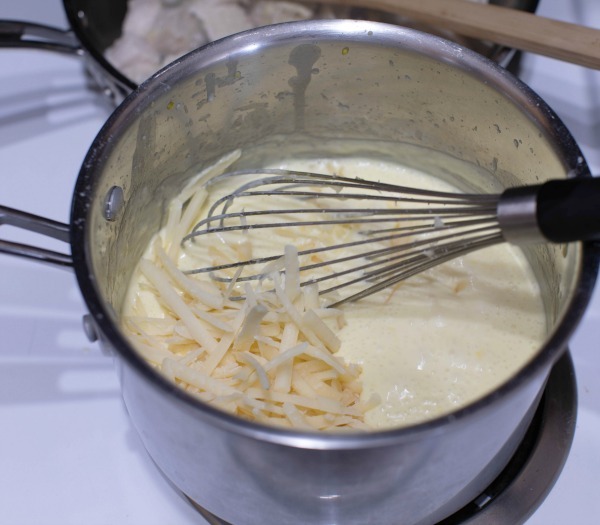 2.Whisk in egg yolks and 1 cup cheese. 3.Simmer for 5 minutes, then remove from heat and set aside. 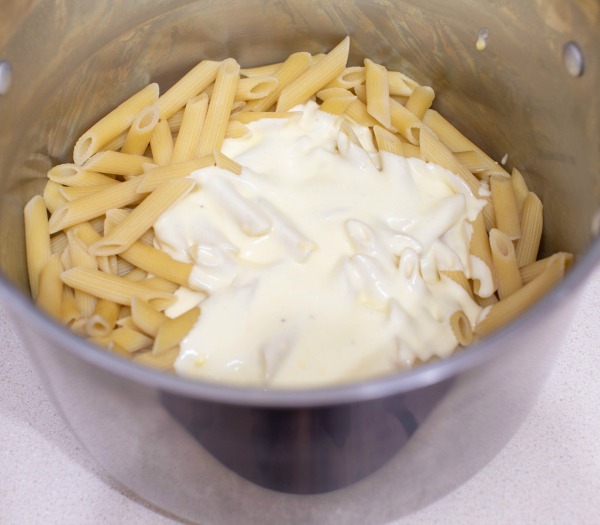 5.In a large pot, prepare pasta al dente as directed on the package. 6.Drain and put back in pot. 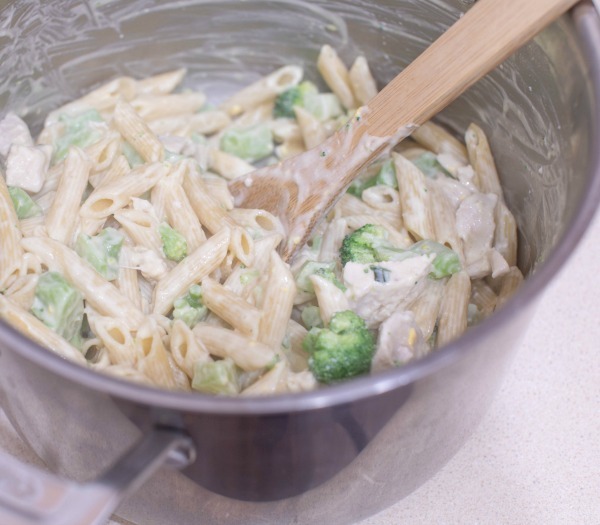 7.Pour ½ of sauce over pasta and toss to coat. 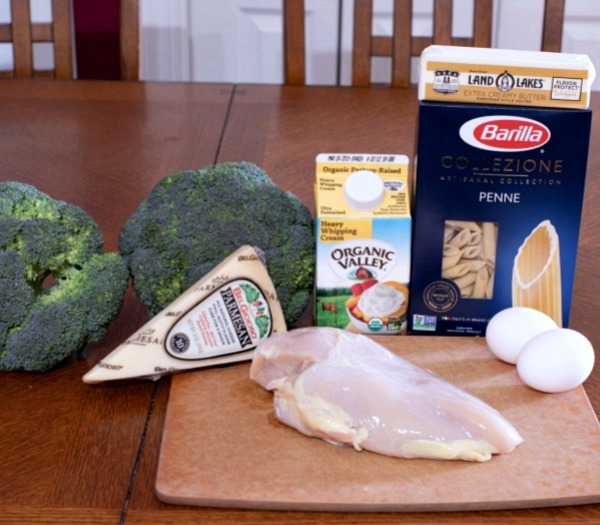 8.Gently mix in chicken and broccoli. 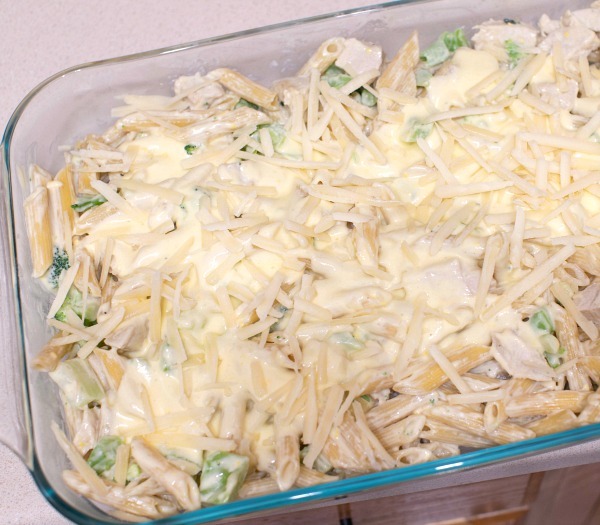 9.Pour into a 9 x 13 baking dish, top with remaining Parmesan. 10.Bake for 30 minutes. Serve up and enjoy!